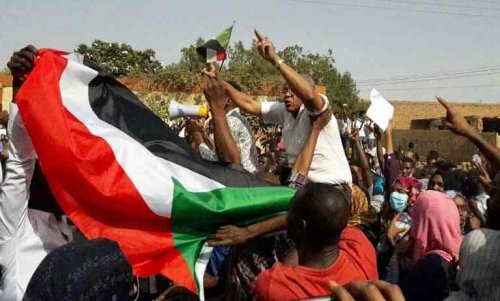 February 2, 2019 (KHARTOUM) – A Sudanese school teacher on Saturday was pronounced dead in custody, two days after being arrested in connection with the ongoing protests against the regime of President Omer al-Bashir. Family sources said Ahmed al-Kheir Awad al-Karim, 36 years, a teacher in Sudan’s eastern town of Khashm Al-Girba, Kassala State was tortured to death by the National Intelligence and Security Services (NISS). They pointed out that he was detained by NISS agents on Thursday in Khashm Al-Girba alongside three others and were transferred to Kassala. According to the sources, Ahmed’s body was found on Saturday morning with signs of horrific torture, including signs of beatings in the head and the kidneys. However, the police director and head of the security committee in Kassala State Mohamed Hassan Yassen said Ahmed died during interrogation at the NISS detention centre. He pointed out that the teacher felt sick during the interrogation and the doctor who conducted an initial medical examination reported that he died. Sudan Tribune has learnt that the three other detainees have been kept at the hospital and some of them have suffered serious injuries. Hundreds of mourners have laid the body of the dead teacher to his final resting place at Khashm Al-Girba graveyard shouting anti-government slogans. Meanwhile, the Darfur Bar Association (DBA) on Saturday said two detainees have died in the NISS detention centres in South Kordofan State. In a statement seen by Sudan Tribune, the DBA said Omer Adam and Hassan Talga have been buried upon an official order from the Abbasia prosecutor office in South Kordofan. The DBA said the two victims are from Darfur region and have been detained by the NISS at the end of last year but it didn’t elaborate on the causes or conditions of their arrest. For its part, the umbrella organization of independent professional unions spearheading the anti-government protests that have rocked the country for six weeks, Sudanese Professionals Association (SPA) said it has been confirmed the death of the three persons was a deliberate killing by the NISS. It pointed out that the regime didn’t only kill the unarmed citizens with firearms but insisted on pursuing them inside the detention centres “to destroy their lives with a spirit of revenge and barbarism”.